The name says it all. 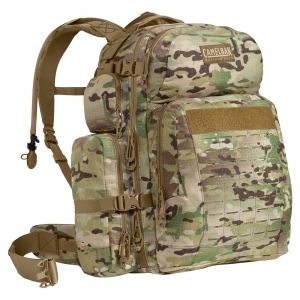 Camelbak's biggest system at 45L+ keeps you mobile, comfortable and efficient on even the most intense missions. Includes Camelbak's Quick Link™ Exit Port and QL HydroLock™ Bite Valve Adapter: tube clicks off for faster refilling with auto shut-off.